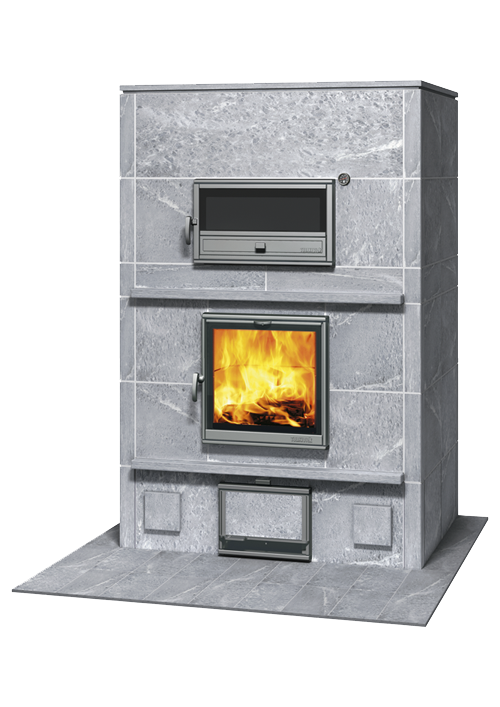 TLU2450/92 A modern and attractively simple soapstone fireplace/bakeoven with massive heating capacity. Its large bakeoven is great for baking and cooking. You can burn wood in the bakeoven of Tulikivi fireplaces.